For general office inquiries, please call the main line at 832-842-0550. For communications and marketing, please contact Christine Klocke. For all other inquiries, please contact Cindy Mejia, Chief of Staff. Paula Myrick Short is the Senior Vice Chancellor for Academic Affairs for the University of Houston System, and Senior Vice President for Academic Affairs and Provost at the University of Houston. Since her appointment in June 2013, she has established the UH Graduate School, the Cougar Chairs Leadership Academy for Department Chairs, the Foundations of Excellence initiative, Houston GPS as well as implemented student success initiatives such as UH in 4 and Provost Summer Read. Provost Short came to the University of Houston July 2012 as Distinguished Professor and Founding Director of the Institute for Policy, Research, and Evaluation. 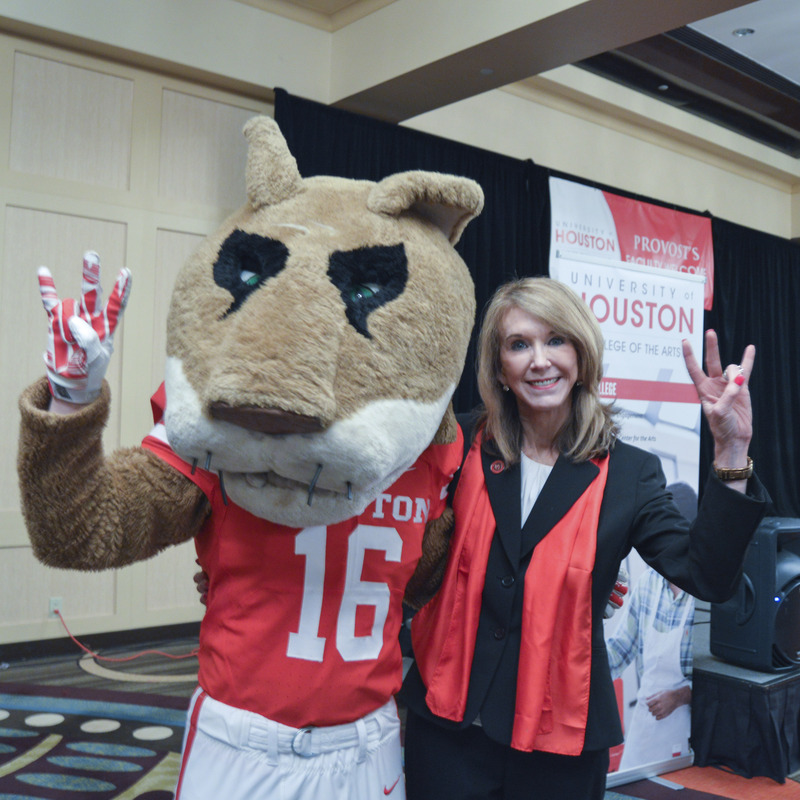 In her role as Senior Vice Chancellor for the University of Houston System, Dr. Short is responsible for the academic quality and accreditation of all four UH system institutions: UH, UH – Downtown, UH – Clear Lake, and UH – Victoria. The Office of the Provost houses the Senior Vice President for Academic Affairs and Provost responsible for student access and success. The Office of the Provost initiates and oversees a broad range of programs which benefit students throughout the University of Houston and the community, including undergraduate, graduate, continuing and distance education programs, as well as all academic programs and policies. The Office of the Provost also oversees faculty appointment, promotion, and tenure.